A member of the majority United Russia party has announced he is leaving his seat in order not to tarnish the party and Duma with his blackened reputation. Anti-corruption bloggers reported the MP failed to declare an apartment he owns in Florida. 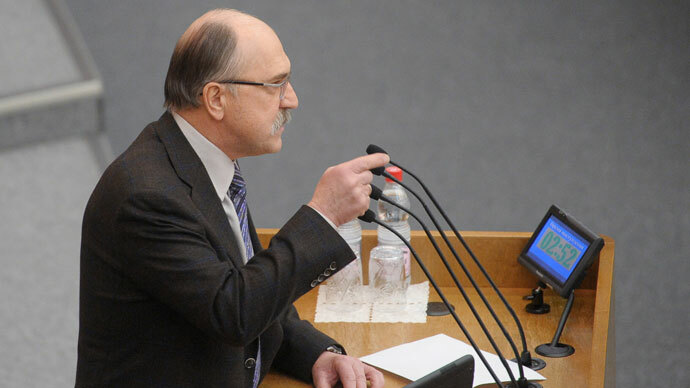 Vladimir Pekhtin, who was elected to the lower house for a fourth consecutive term in December 2012, told his fellow parliamentarians on Wednesday that he was voluntarily abdicating his powers as a lawmaker, but stressed that all accusations against him were groundless. State Duma Chairman Sergey Naryshkin thanked Pekhtin for the move, which he called honest and responsible. Most MPs greeted their former colleague with a standing ovation. The accusations against Pekhtin were circulated on the internet by popular blogger and political activist Aleksey Navalny. On February 12, Navalny reported that one of his volunteer aides had scanned the real estate register of the state of Florida. The aide discovered that a half-million-dollar apartment in the Flamingo South Beach complex in Miami Beach was registered in the names of Vladimir Pekhtin and his son Aleksey. According to the register, the apartment was bought by Aleksey Pekhtin as far back as in 2007, but in 2008 Vladimir Pekhtin registered half of it to himself. Navalny accused the politician of failing to duly declare his property and filed a report to the Prosecutor General’s Office and a letter to Prime Minister Dmitry Medvedev, who heads United Russia. Pekhtin replied with an interview in which he noted, rather ambiguously, that he “possessed practically no real estate abroad,” but acknowledged that his son, who lives and works in the United States, owned an apartment there. After the disclosure, Pekhtin stepped down as the head of the State Duma Commission on Ethics, but said that he was doing this only for the time of investigation that will prove his innocence. On Wednesday the head of United Russia in the parliament, Vladimir Vasilyev, told the press that Pekhtin was personally going to the United States in order to prove that he possesses no real estate in that country. Earlier this week, MP Sergey Ivanov of the Liberal Democratic Party submitted a bill that says providing false or incomplete information on income and property declarations should become grounds for early termination of parliamentarians in both the lower and upper houses. Ivanov claims that though the law already obliges lawmakers to report the property and income of themselves and their family members, there is no punishment for failing to do so. The Russian press connected the bill’s sponsorship with the scandal around Pekhtin. The Duma is currently considering a draft law that bans top level Russian officials from owning foreign property. The initial draft, submitted by the parliamentary committee and already approved in the first reading, concerned all types of assets – bank accounts, securities and real estate. However, recently President Vladimir Putin submitted a softer draft that only bans bank accounts. MPs said that the final law would most likely be reworked in line with these recommendations. Pekhtin’s resignation also is not the first one after the latest parliamentary poll. Last fall the State Duma voted to oust Gennady Gudkov of the opposition Fair Russia party from the chamber for illegally running a business. Shortly afterwards, Aleksey Knyshov of United Russia said he was voluntary quitting his post over similar accusations. On Tuesday the State Duma voted to stop the powers of United Russia MP Vasiliy Tolstopyatov, who earlier also submitted a voluntary resignation. The politician claims he had a better job offer in the corporate world, but observers suggested that he could be also trying to conceal some undeclared property. 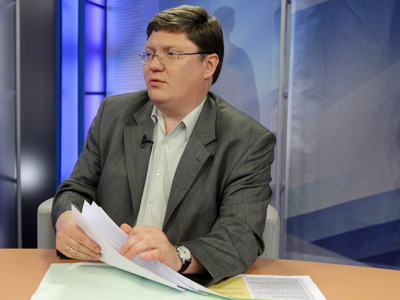 After Pekhtin’s speech in the Duma Russian news agencies reported that another United Russia MP – Anatoliy Lomakin – submitted a voluntary resignation that will be considered by the lower house on Friday. According to the State Duma staff, Lomakin resigned due to health problems, but media suggested that the MP, who owns a fertilizer company worth $1.2 billion (according to Forbes), chose not to wait until someone accuses him of illegally managing his business. The Fair Russia party and bloggers on Wednesday afternoon celebrated Pekhtin’s departure as a victory. 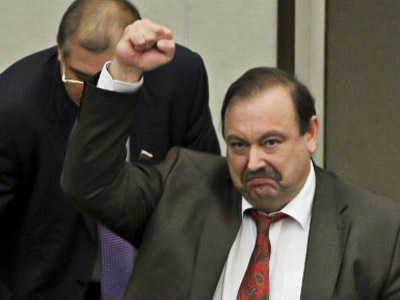 Gennady Gudkov, who still works in the Fair Russia parliamentary team despite losing his seat, told reporters that Pekhtin’s resignation was as voluntary as fleeing from a burning house. Navalny’s aide who broke the story (he prefers to remain anonymous and poses under the blogging nickname Doct-z) also said that his truthful report forced Pekhtin to leave and added that after 239 similar stories he would delete all his accounts and stop his political activities apparently hinting at the number of parliamentary seats held by United Russia (which is, however, 237). 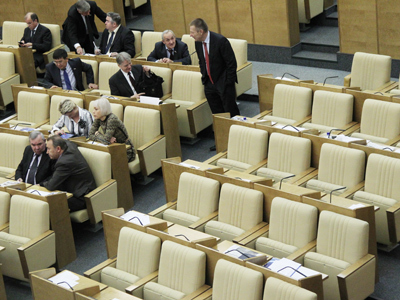 Russian analysts are split in their opinions on the current processes in the parliament. Political observer Mikhail Taratuta wrote for Echo of Moscow Radio website that this could only be the beginning and the fact that the bloggers managed to force a powerful politician out of his parliamentary seat meant that Russia at least was developing working means of public control over the authorities. Others, like the head of the International Institute of Political Expertise Evgeny Minchenko, noted that Pekhtin’s move could actually add points to United Russia as it showed the party’s responsibility and readiness for changes. Nikolay Mironov of the Institute of Priority Regional Projects also said that Pekhtin looked like a responsible politician who put the interests of his party and the parliament before his own. “This was a deed of a modern politician from a European formation. His decision is in essence a declaration of a new format of parliamentarism in the country. This is a signal given not to United Russia alone,” the ITAR TASS news agency quoted Mironov as saying. Pekhtin’s party colleagues, however, said that they were still sure that the politician will clear his name of all accusations.